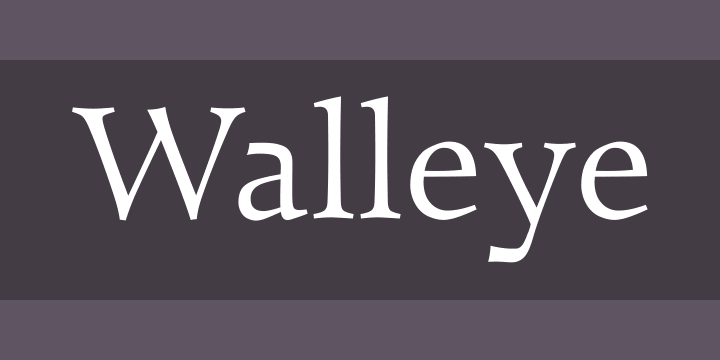 Walleye is an original serif font suitable for setting longer texts. Its long, banner-shaped finials and its airy letterforms give it character and an open texture on the page. Walleye has four styles: regular, italic, bold, and bold italic.